Mark A. Murphy is a best-selling author and noted expert on organizational leadership and employee engagement. Murphy has authored or contributed to four books. Both "HARD Goals" and "Hundred Percenters" have received critical acclaim from major media outlets, including The Washington Post, The Business Insider, Fortune Magazine and others. 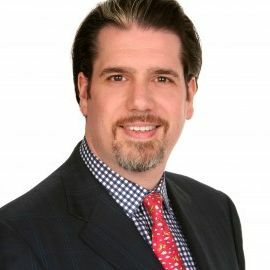 Murphy is the founder and CEO of research and consulting firm Leadership IQ, which specializes in leadership training and employee surveys for the private healthcare industry and large and mid-size corporations. As the driving force behind Leadership IQ's research arm, Murphy and his findings are often referenced in business news reports, including CNN Money on "The Fatal mistakes when starting a new job", The Globe and Mail on "Setting career goals: the gender factor" and BusinessWeek on "Why the boss really had to say goodbye." Management Guru; CEO at Knowledge, Inc.